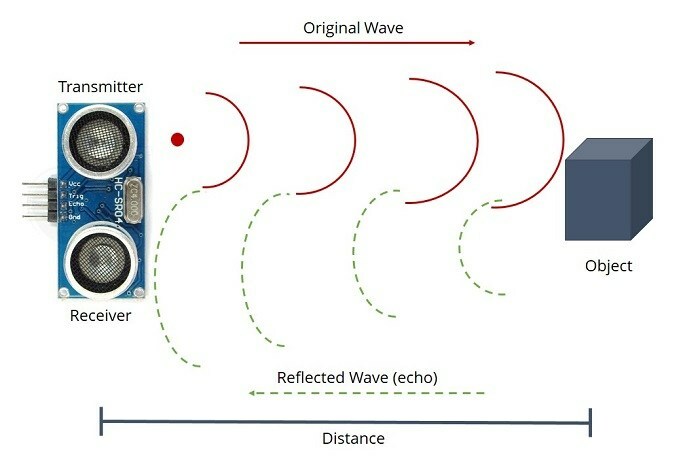 I understand how these ultrasonic sensors work on the basic level: They send out ultrasound, which is then reflected by an object and is then sensed by the receiver. But the receiver and the transmitter are placed side by side. Won't the receiver immediately pick up the signal as it is sent? How does ignore the signal as it is sent, and record it only as it returns after being reflected by the target? In a pulsed system (the most common type), the receiver is blanked during the period of the transmit pulse so it does not respond during that time. This is the same in pulsed Sonar and Radar and determines the minimum distance that can be resolved. There are monostatic and bistatic ultrasonic transceivers. Monostatic transceivers are single transceivers that do the transmitting and receiving. As long as the transmission stops before the reception starts, you can do measurements. The minimum distance that you can measure is limited in this configuration, but it's smaller and cheaper to implement. Speed of sound is roughly 343m/s. If we assume there is an object 1 meter in front of the sensor, it will take the signal 6 milliseconds to bounce back. That's the window that you're allowed to drive the transceiver and stop it from vibrating at that distance. At 0.1 meters we have 0.6 milliseconds etc. It becomes extremely hard and frankly impossible to drive a proper signal in that timeframe. If you want to get technical: while transmitting the membrane of the transceiver is being vibrated at a specific frequency. If you'd try to read(receive) anything while it's doing this, you're just going to get a oversaturated signal back. When you stop actively driving the transceiver it will stop ringing in a short time, at which point you can start listening to what it's receiving. A bistatic transceiver(the one in your picture) uses a separate transmitter and receiver, which means it can receive while transmitting. The minimum distance isn't limited like the monostatic configuration. If you have the space you should go for this configuration. It's easier, better performing and also widely available. The parking sensors on cars use the monostatic configuration for example. You're asking why the receiver isn't immediately picking up the signal from the transmitter. While it's true that cheap implementations basically shut the receiver off while transmitting, this is not required. And I'd argue that if you do that sort thing in your design, you should go for a monostatic configuration. Otherwise you're just wasting space and parts. 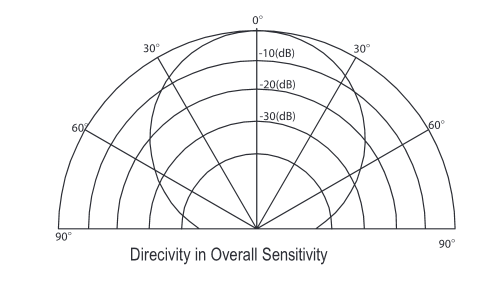 The directivity of ultrasonic transceivers is fairly precise and won't affect a receiver that's next to it as long as you physically separate the vibrations from each other(A PCB won't effectively transfer kHz frequencies) and don't point it at each other. Most transmitters cap out at ~90 degrees field of view@40kHz(most common) which is enough to keep it from affecting the receiver. See how it tapers off at the extreme edges? Not the answer you're looking for? Browse other questions tagged sensor ultrasound or ask your own question. Why Roomba has IR bumper sensor array? Measuring the angle to an object using IR sensors?